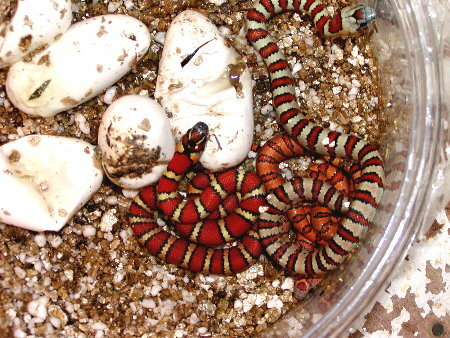 Hatchling: 6 - 9 in. 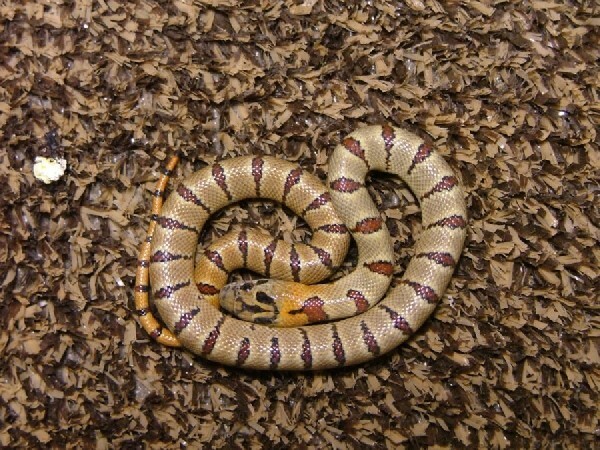 Variable as the name implies, several phases have been known to be produced within the same clutch from like colored patterns. 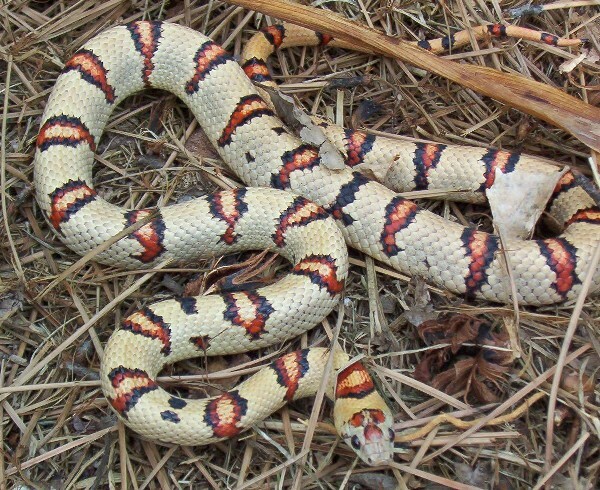 Phases include melanistic, milk snake phase, Leonis(similar to the"Alterna " morph of the Gray-Banded Kingsnake) and all possibilities in between. 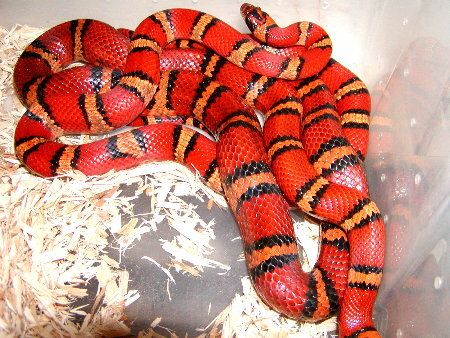 Ground color will range from a light gray, peach, silver, buff and/or triads that will rival any milk snake. 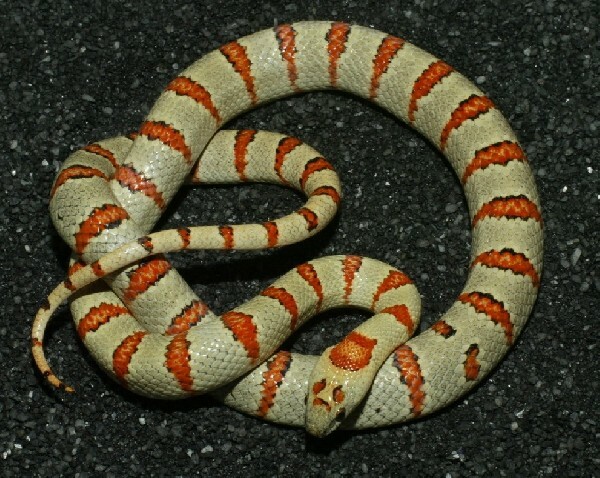 Normally displays a nuchal blotch that is light centered. 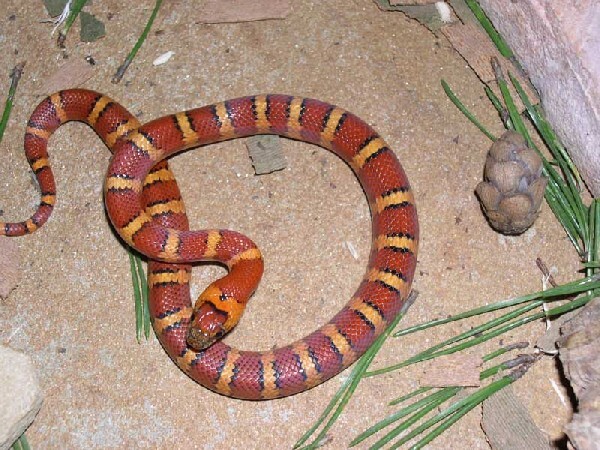 Typically has a postoccular stripe. 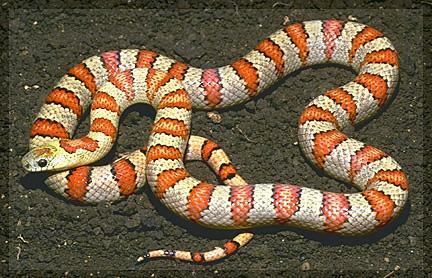 Semi-montane to montane species that are found in the Tamaulipan desert areas, in habitat very similar to the limestone rock outcroppings of western Texas and New Mexico favored by L. alterna, the Gray-Banded Kingsnake. 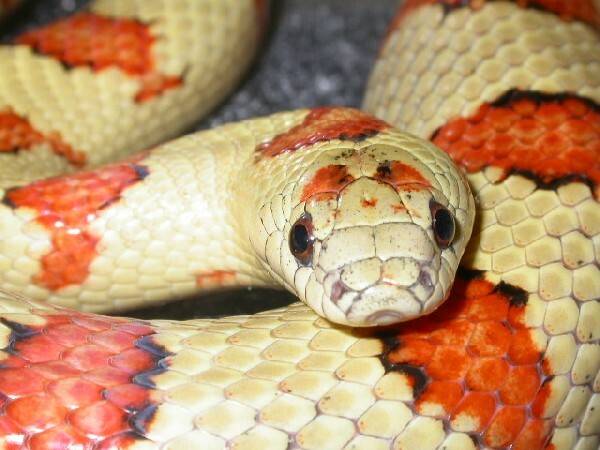 In the wild they are known to prey primarily on lizards, but have also been known to take other snakes, frogs, and various rodents.In captivity these animals fair very well on a diet of lab. 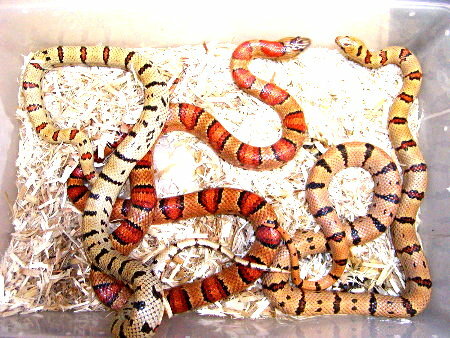 raised mice. Juveniles sometime require new born pink mice scented with lizards. Adults seem to fair better on several small food items (Hoppers) rather than one large food animal. In the wild they feed on a collage of lizards and small rodents as available. This is a generally non-aggressive species that does well in captivity. It is somewhat secretive and requires a hiding box at all times. It has been our experience that certain strains of this species more readily feed on mice as juveniles than others. It should be noted this can't be proven scientifically yet, but is just our general observation and experience. NOTE : This species along with L. mexicana mexicana, L. mexicana greeri, an L.alterna are in question as to their validity and until this can be cleared up from the taxonomic perspective there will continue to be some confusion regarding the actual classification of these animals. Stay Tuned ! !